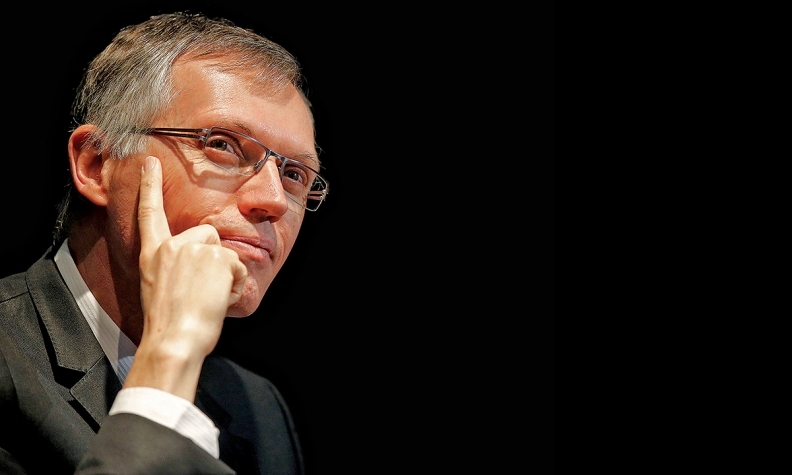 TURIN -- Carlos Tavares, PSA Group's energetic CEO, made a promise when he took over the struggling French automaker in 2014: Let us fix the business, then we can look to forge partnerships that foster our growth. He's done the first part. PSA will report its full-year results this week, but in the first half of 2016, the company showed a 6.8 percent operating margin in its core auto division and 6 billion euros ($6.35 billion) of net cash. Now Tavares is living up to the rest of his promise as PSA discusses the takeover of General Motors' Opel and Vauxhall units. Still, analysts struggle to find logic in the deal for Tavares, particularly since the PSA boss -- like GM's CEO Mary Barra -- has always been an advocate of profits over volume. "While we reserve judgment until any deal is done, we understand GM's rationale to sell more than PSA's interest to buy," said Dominic O'Brien of Exane BNP Paribas in London. O'Brien says a full takeover could yield a modest 1 billion euros ($1.06 billion) in additional savings. The two companies expect $1.2 billion by 2018 from the joint development of four vehicles and a purchasing joint venture. And while he says it's tempting to believe that Tavares will sprinkle the same turnaround magic on Opel as he did on PSA, this time the situation is completely different. He would be starting at the top of a market cycle and would face stubbornly resistant German unions that strongly oppose the deal. Tavares is good, O'Brien said, but maybe "not the magician Opel needs." Harald Hendrikse at Morgan Stanley sees a long list of obstacles. GM Europe has lost money for many years despite several attempts to restructure. Opel has fallen from more than 10 percent of European market share to 7 percent in the past seven years. The Opel brand is almost as lowly ranked as Peugeot and Citroen, which are normally in the lower depths of J.D. Power consumer rankings. Opel is overexposed to the UK and German markets that most likely will lose steam this year. Thus, Hendrikse says a full PSA-Opel merger is "not an obvious winner in terms of market share or profitability." Analysts at Berenberg Bank view a deal a bit more positively. In a note to investors, Berenberg said: "While we understand the rationale for such a transaction -- scale, cost savings, platform rationalization -- the big question mark remains the potential purchase price and how quickly PSA can achieve potential savings and reduce GM Europe's cash burn." Berenberg says that between 2010 and 2016 GM Europe lost $8.3 billion before interest and taxes. Taking special items into account, the loss stood at $15.9 billion, the bank said. Even in 2016, when sales in Germany and the UK were strong, GM Europe was not able to generate an operating profit. George Galliers at ISI Evercore in London sees the eventual merger as a win-win, but says GM would be the bigger beneficiary. One argument for keeping European operations, Galliers said, was that it provided a development center for compact cars and diesel engines. But he added: "Global demand for diesel is in structural decline, while we suspect the business case for selling European development-led mass market compact cars outside of Europe, particularly in emerging markets, is increasingly stretched given high levels of content and engineering demanded by European consumers." Galliers said it could be simply that PSA sees an opportunity to acquire an asset at a discount. "Irrespective of its potential quality, at the right price, any asset can prove attractive," he said.